Before Marilyn began visiting Judy three times a week, Judy was suffering from the classic three plagues of aging: loneliness, helplessness, and boredom. Judy’s family all live out of state and she is a recent widow, leaving her on the verge of depression. Her daughter noticed when she called her mother, Judy was not sounding like herself. That’s when she started looking into elder care agencies that had a home care system or home care software that allowed for monitoring of her mother’s care. Once Marilyn began visiting Judy, Judy returned to her old self and loneliness, helplessness, and boredom became a thing of the past. Research from the UCSF Division of Geriatrics has shown that depression and loneliness in seniors correlate strongly with each other. Seniors who live at home alone are not only susceptible to loneliness, but also helplessness and boredom which can lead to depression. Fortunately, there is a way to stop the spread of depression among seniors. Families of seniors may not always have time to check in or care for them and the thought of sending a family member to a long term care facility can be off-putting to many people. The best solution for this is to hire an elder care agency that uses a cutting-edge home care system or home care software, such as ClearCare. Choosing an elder care agency that utilizes a robust home care software or home care system can help track senior interests and keep boredom at bay via daily task reminders and enriching activities coordinated by caregivers. 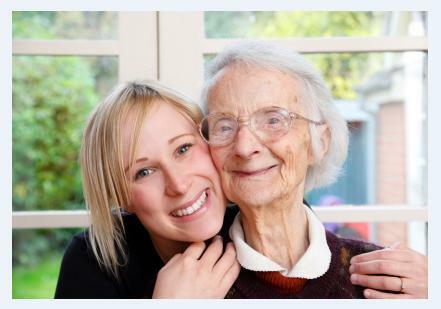 Having a caregiver come to the home regularly encourages seniors to socialize which will prevent loneliness. Important and special relationships can stem from these home visits when caregivers help out around the house and spend time with seniors. Having another person in the house makes things livelier and seniors will have a companion with them in their home to engage in conversation with. This companion can also act as a partner for activities – some as simple as a game of cards to keep senior minds engaged. An innovative home care software or home care system can help elder care agencies tell their caregivers what kinds of tasks clients need to help with in the home, thus, eliminating seniors’ helplessness and allowing seniors to feel that they have the tools to remain living independently in their homes for as long as possible. Before seniors fall into a pit of loneliness, helplessness, and boredom inside their own homes, it’s a good idea to look for an elder care agency that utilizes a revolutionary home care software or home care system, such as ClearCare, to help ward off those plagues of aging. Life’s better with company.